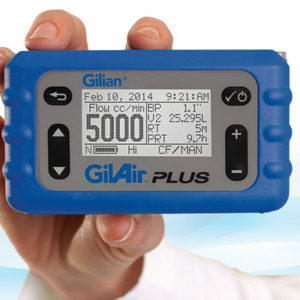 The GilAir pumps (GilAir-3 & GilAir-5) have one of the largest user bases of any air sampling pump worldwide. These reliable 3 and 5 litre per minute air sampling pumps have automatic constant flow assuring sampling is maintained within +/- 5% of the initial set point. 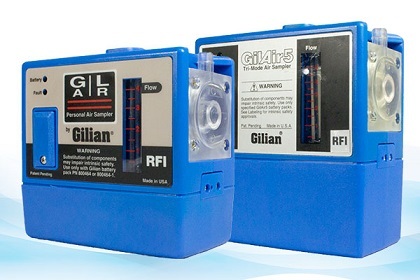 Setting the flow rate on the GilAir-3 & GilAir-5 is a simple process that requires no special adjustment tool so you spend less time configuring pumps. 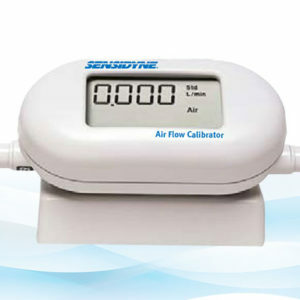 The most recognised air sampling pump on the market. The GilAir-3 and GilAir-5 are recognised for durability and reliability when it counts most. Automatic constant flow — the most important feature of any sampling pump — is standard on all GilAir-3 and GilAir-5 pumps. It assures flow is maintained within 5% of the initial set point, even with varying back-pressures from flow restrictions or buildup of material on the filter. GilAir-3 and GilAir-5 pumps are suitable not only for conventional pull-through sampling media but also for bag sampling and other pressure applications. NiMH batteries are now available for the GilAir-3 & GilAir-5. The GilAir-3 and GilAir-5 are now available with nickel-metal hydride (NiMH) batteries that virtually eliminate memory effects and lazy battery issues. NiMH batteries are environmentally friendly, recyclable and do not pose a risk to the environment when being disposed. New NiMH battery packs are backwards compatible with GilAir-3 and GilAir-5 pumps that currently use NiCd batteries and are user replaceable by removing only two screws on the rear of the pump. Basic, Clock, & Programmable Models The GilAir-3 and 5 are available in 3 models; Basic, Clock and Programmable. The Basic model is straight-forward and easy to use. Clock models provide an elapsed-time clock display. Programmable models enable a timer which can start or stop the pump at preset time intervals or program a delayed start. The fault light indicator activates when the pump flow control is outside +/-5% of the required flow rate, such as from low battery, blocked tubing or filter. If fault conditions persist for 30-60 seconds, the pump automatically shuts down and freezes the timer. Models with a timer display preserve run time on the display, ensuring a valid sampling result. When the fault condition is cleared before shutdown, the pump will resume normal sampling and fault light turns off. The GilAir-3 & 5 also has a Battery Test indicator light that illuminates when the battery can provide a minimum of 8 hours of operation over operating range. Clear filter housing allows an immediate visual inspection of the internal filter’s condition. This feature protects the pump from dirt and debris and is externally mounted on the pump, allowing for quick inspection. Filter replacement requires the removal of just four screws. A built-in moisture trap helps prevent moisture from entering and damaging the pump chamber, such as moisture carryover from impingers.